One of the heavy weight restaurants in Hyderabad is the Bawarchi. It goes highly recommended by all the food lovers in the City of pearls. Infact we travelled from Jubliee hills all the way to RTC cross road wading through heavy traffic just to dine here. The order was simple for a group of eight. 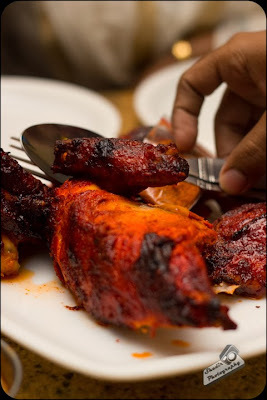 Two full Grilled Chicken plus a Chicken Lollypop and finally the decadent Hyderabadi Biryani in both Chicken and Mutton variants. 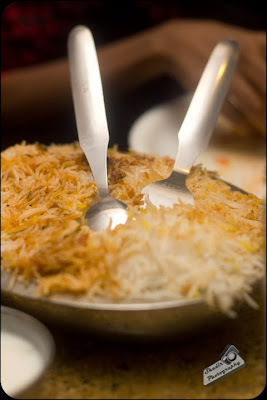 We shared three of the chicken and two of the mutton biryani. Plus a few rounds of soft drinks. The first to reach the table was the Chicken Lollypop. Eight pieces in all, which were crispy fried and tasty. The next to be served was the Grilled Chicken. This was a bit out of heaven. 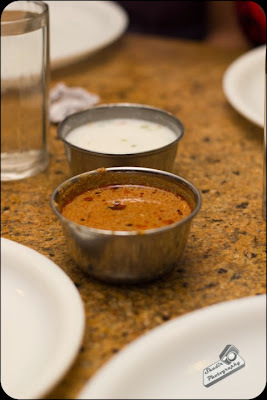 It was spicy as such, if that was not sufficient, it had a chili powder as an accompaniment. This definitely is the right dish for the weather at Hyderabad which dips all the way to 19 degrees during the night. Finally the famous Hyderabadi Biryani which many of my Chennai friends used to scoff as being more of white rice with masala was not so. It was quite simply stunning. I had both the Mutton and the Chicken Biryani, the taste was quite similar, but the mutton just had a slight edge with the extra bit of aroma. In-fact we were not able to finish the entire lot of biryani, in-spite of a large gang present. Very simple place, looked more like the Coronet at Chennai. The place was jam packed in-spite of it being a thursday and the waiters were running around, but they definitely did not mind explaining to us the quantity. I am pretty sure such a meal in Chennai would cost above Rs 3000/-, but this meal cost us Rs 1800/-. This just surprised us. I highly recommend Bawarchi to chennaites who are planning a trip to Hyderabad. 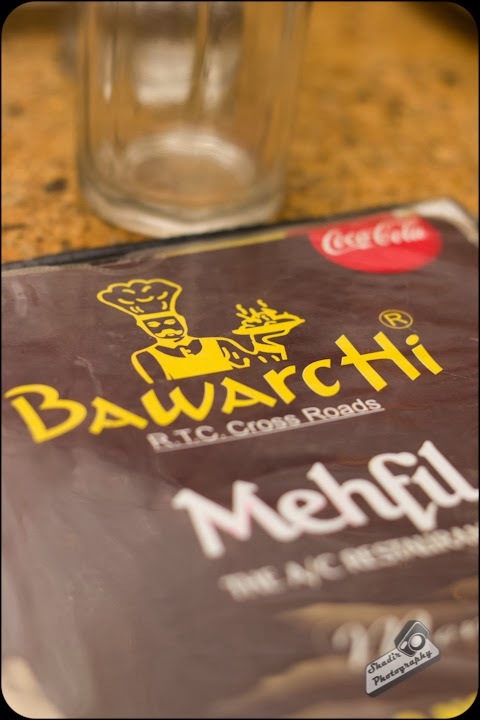 Bawarchi is located in RTC Cross road in Hyderabad.